PAYE (Pay As You Earn) is the system that HM Revenue & Customs (HMRC) uses to collect Income Tax and National Insurance contributions (NICs) from employees' pay as they earn it. The term 'employee' includes directors of limited companies. An employer must deduct tax and NICs from the employees' pay each pay period and pay Employer's Class 1 NICs if earnings are above a certain threshold. Employers pay these amounts to HMRC monthly or quarterly. Employing staff can actually a greater headache to the business owner than taxation. 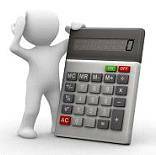 BSW Accountancy Services will calculate your employees' wages and provide you with payslips and a summary of the payroll run. track holiday pay, sick pay, maternity pay, pension contributions and attachment of earnings and handle working families tax credits. We will keep you informed of changes in legislation, the minimum wage and holiday pay for example.